Who says baby-proofing the house can’t be fun? With the baby on the way we have to get all of my toys off of the floor in the study. 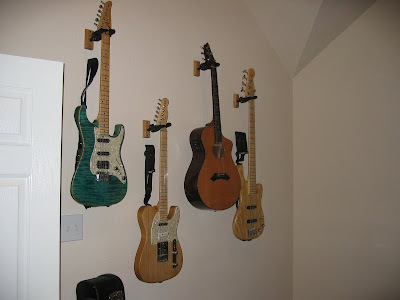 My wife had the brilliant idea to hang the guitars on the wall, and I love it! Its Wall-tastic! What fine pieces of art! Next PostNext Super BS Chorus!